Crusader was the very first DG Cruise Control foal and has been a great joy to us from the day he arrived. 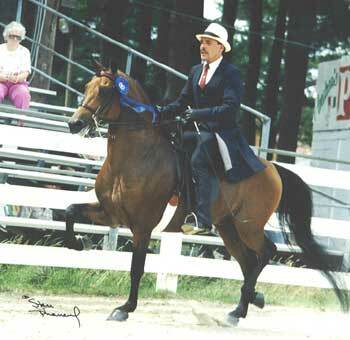 He has won everything from in hand to carriage classes with ease and we still enjoy him everyday. 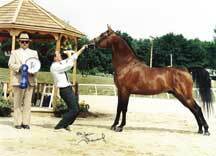 He is a game horse with real show ring presence and a winning personality. He has traditional type being compact and short coupled with an upright neck and head assembly and a laid back shoulder. 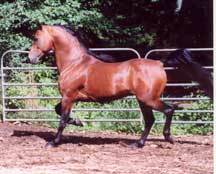 His gaits are springy and balanced with style and charisma. 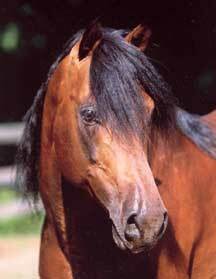 The is never any mistaking what kind of horse this is!